The movie that prompted Tom Hanks to post on his Facebook account, “See this documentary! The power of film! 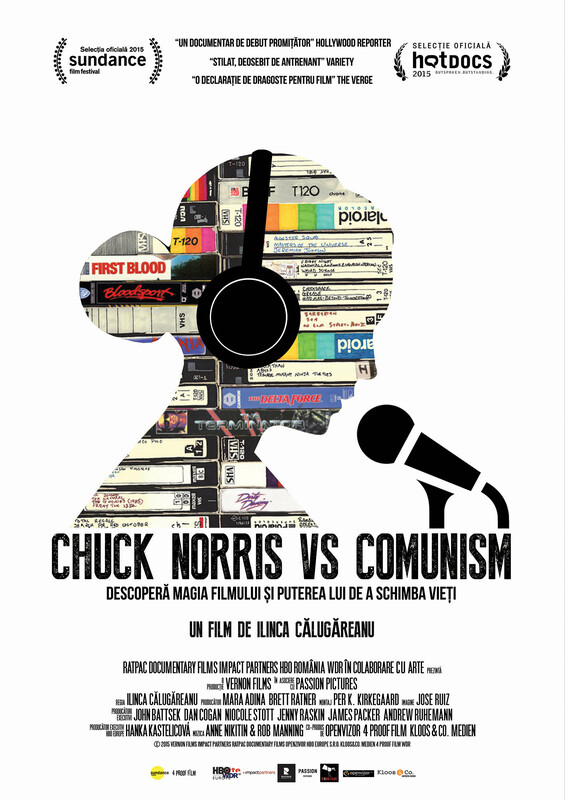 To change the world”, Chuck Norris Vs Communism is a captivating examination of a period of (fairly) recent history that sounds exactly like something out of the movies. 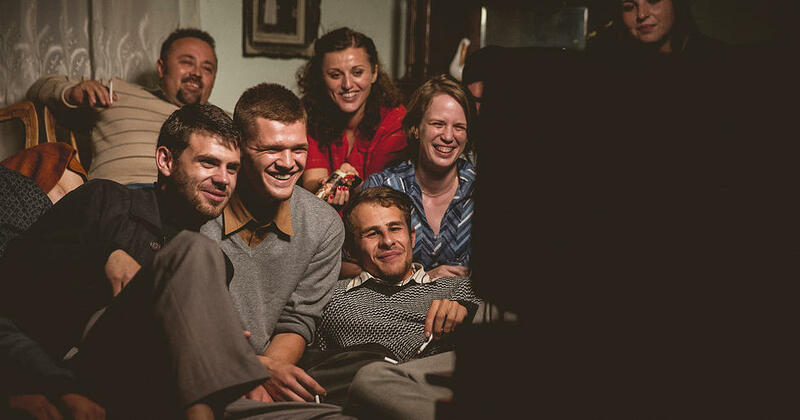 Ilinca Calugareanu’s illuminating docu-drama – key scenes and events are recreated alongside the reminiscences of people who were a part of it all – has a wistful, fantasy-lite approach that makes the reality of what happened seem all the more incredible. From Zamfir bribing border guards in order to get the original VHS tapes into the country, to Nistor’s clandestine work away from the scrutiny of her bosses, and the number of household raids that mysteriously saw no one arrested for what would have certainly been regarded as treasonous activity, the movie relates all of these instances with a fascinated disbelief that it could all have happened so quickly and so easily. The question arises repeatedly: how could the authorities not have known what was going on? After all, Nistor’s voice was incredibly well known; the only voice that was more familiar to the Romanians was that of Ceausescu himself. The answer is revealed (after a fashion) late on, but when it is, it’s an appropriately ironic and simple one. More engaging than the recreation of stealth viewings and unhindered piracy activities, though, are the recollections of the Romanians who took part in those video evenings. The affection and the sense of nostalgia for those times, which were otherwise bleak and uncompromising, shines through and gives the movie an incredible sense of poignancy. Through the movies of Chuck Norris (of course), and Sylvester Stallone, as well as a range that included the likes of Doctor Zhivago (1965) and Once Upon a Time in America (1984), the quality of the movies was as nothing to the overall enjoyment that seeing them brought to the Romanian people. The movie reveals a tremendous sense of people coming together out of a common interest, and excited both by what they’re doing and by the fact that it’s in defiance of a Communist dictator who wasn’t exactly known for his forgiving nature. Recollections around certain movies are in abundance, and Calugareanu makes sure there are plenty of illustrative clips to go round. But it’s Nistor who receives the most attention, her distinctive vocal talents a source of endless speculation and fascination (though to be fair she didn’t actually dub the movies she worked on: instead she added a Romanian translation after each line was spoken). Loved and feted while remaining an anonymous mystery figure, her fans were horrified by the later appearance of a male voice on their bootleg tapes. And well they might have been: it was perhaps one subversive step too far. Rating: 9/10 – an absorbing and continually fascinating look at a period and a country where screenings of Western movies were forbidden, Chuck Norris Vs Communism is an absolute gem of a documentary; Tom Hanks was right in his enthusiasm, as this is witty, funny, engaging, charming stuff that has a mischievous streak a mile wide and that doesn’t once try to be ponderous or focus too much on notions of cultural imperialism.